The echoes of one person’s yes can be astounding. Elizabeth Seton founded the Sisters of Charity in Emmitsburg, Maryland, in the early 1800’s. 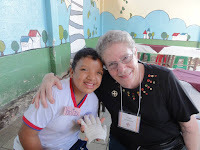 This July, I experienced her spirit alive and flourishing in the little town of Pedro Carbo, Ecuador. Each summer, the Sisters of Charity of Seton Hill hold an integration program for sisters from their United States and Korean provinces. Part of the program is a week in Ecuador at a mission of the Korean province. The experience allows for shared prayer, conversation, and ministry to strengthen their common journey. 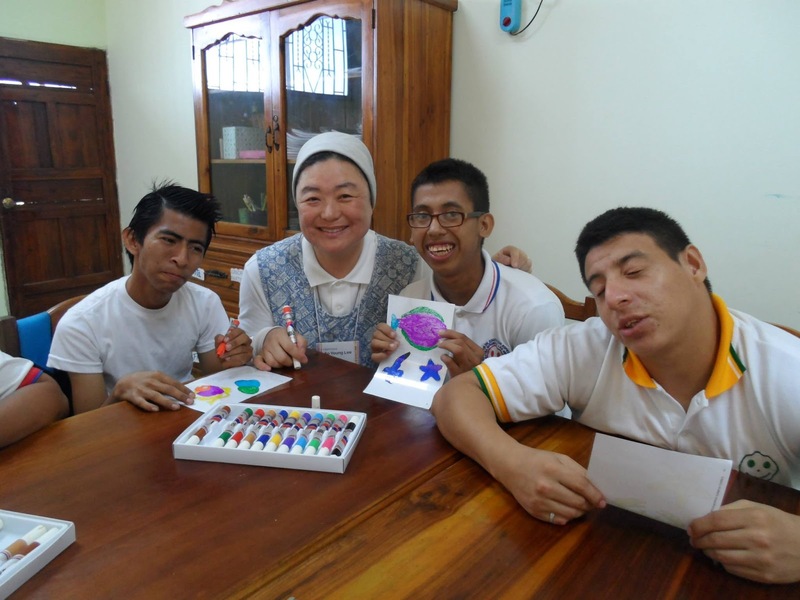 Much of the week is spent at INESEM, the Sisters’ school for children with special needs. Since 2011, these Sisters have invited fellow Cincinnati Charity, Sister Janet, and me to come along for Spanish translation and other forms of support. Although I had come on the Ecuador experience twice before, this time felt different. No longer a discerner as on previous trips, I am a vowed Sister of Charity! Although we were a fascinating group of all ages and backgrounds, I knew I was among family. And the shared charism that is our future was evident. It was hot, and loud, and dusty. One of the U.S. sisters is in her eighties! At times, we were translating among four languages – English, Spanish, Korean, and sign language. And yet, the Sisters dove into each experience, urged by Christ’s love. The Sisters in Ecuador asked Janet and me to lead a reflection at the local parish on Thursday evening. 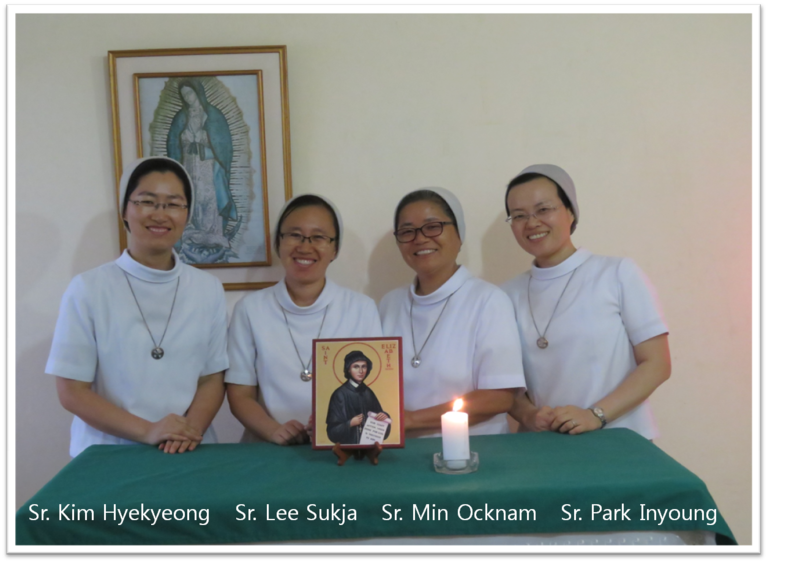 We decided to bring Elizabeth Seton’s spirituality to life for the parishioners, hoping to introduce them more deeply to the motivation of the Korean sisters who serve in their community. I dressed up in an old habit, assuming the role of dear St. Elizabeth Ann. Janet interviewed “me” about my story. Portraying Elizabeth was a profound experience. As I stepped into her shoes and attempted to communicate her spirit to others, she was so present to me. I feel like I came to know her heart in a new way. Taking in the moment through her eyes, I was overwhelmed with awe at God’s providence. In 1809, Elizabeth, a young widow, mother, and brand new Catholic convert, founded the fledgling Sisters of Charity community in Emmitsburg, Maryland, near Baltimore. 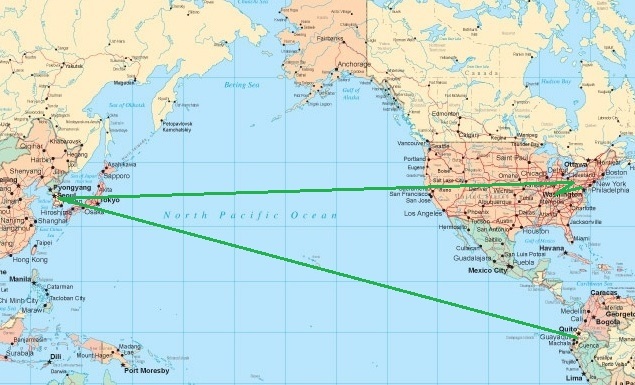 She never would have dreamed that, more than two hundred years later, her story would be told 3,000 miles away in South America! How did this come to be? In 1829, Sisters were missioned from Emmitsburg to the “western” town of Cincinnati, Ohio. The Sisters of Charity of Cincinnati were formally established there in 1852. Then, in 1870, four sisters and two novices set out from Cincinnati to serve in Pennsylvania. That community grew as well and was incorporated as the Sisters of Charity of Seton Hill. Almost a century later, four Sisters of Charity of Seton Hill traveled to South Korea upon the request of a Bishop. Vocations soon flourished there, and the mission grew to be a province of the Sisters. 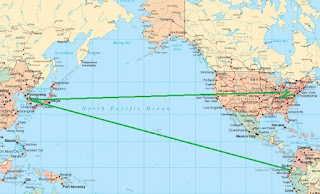 In 2008, beckoned by a Korean lay missionary, four brave Sisters from this Korean province traveled across the ocean to Ecuador to found the flourishing mission in Pedro Carbo. What wonders occur when we risk a faithful response to God’s call! The faces of the Ecuadorians gathered at our parish presentation showed that they identified with Elizabeth’s trust and courage through so many ups and downs. Some people smiled, and some even had tears in their eyes. All were nourished. We invited all to place their lives in God’s hands and to share a moment of Adoration together, since Elizabeth herself found such strength in the Eucharist. Janet and I knelt to face the Blessed Sacrament with the Sisters and the Ecuadorians. To our delight, we noticed that the altar was adorned with many white roses, a flower that has come to be a symbol of hope in our congregation. I felt Elizabeth smile upon us, grateful that her daughters continue to serve today, and especially overjoyed by the ever-increasing collaboration of the Federation. Elizabeth’s “yes” is still echoing today. Due to the faith of many women through the years, the charism of Charity is now pulsing in the little town of Pedro Carbo, Ecuador. Who knows where it might go from there? Sólo Dios sabe. Imagine what your yes could do! Thank you, Tracy. I love your blogs and find this one very special. Thanks, Sister Tracy!!! So good to read about your experience. It took me back to my own wonderful summer days with you and Janet. Our Sisters all reported that they loved their time in Pedro Carbo. Keep up the wonderful ministry.